Planning a new PC build but struggling to keep costs down? 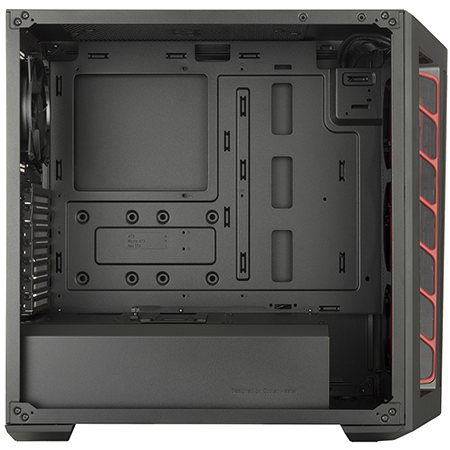 The chassis is one area in which it is easy to save a few bob, and for those of you wanting maximum airflow potential for minimum cost, Cooler Master reckons it has an answer in the form of the MasterBox MB511, priced from just £55. 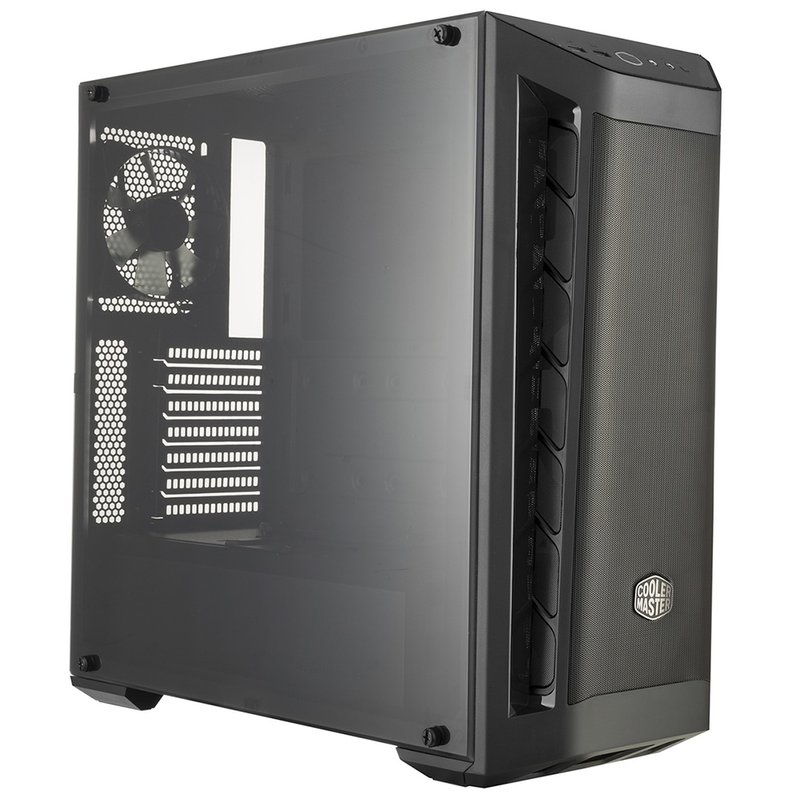 At first glance, the MB511 looks to be a good amount of case for your money. 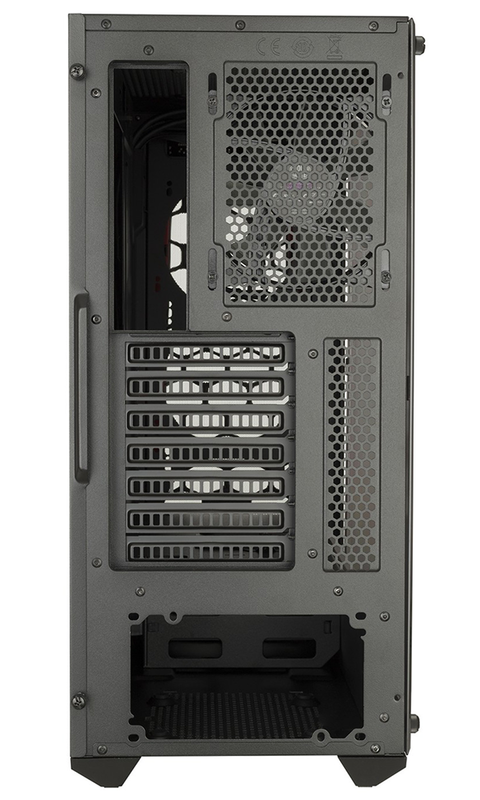 The mid-tower enclosure measures 496mm (L) x 217mm (W) x 469mm (H) in size, with provision for either an ATX, Micro-ATX or Mini-ITX motherboard, seven expansion slots, a shrouded PSU bay, and graphics cards measuring up to 410mm in length. 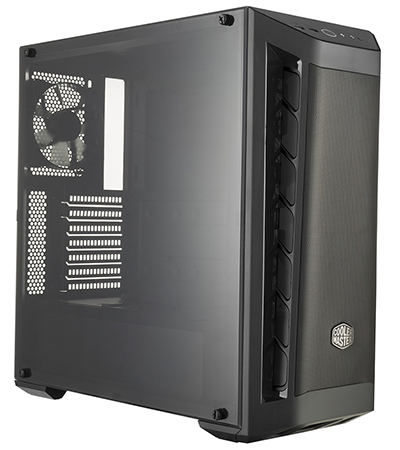 Installing a suitably high-end set of components ought to be easy, and though this is one of Cooler Master's more affordable cases, build quality is reasonable, with the steel and plastic materials combining to provide decent rigidity throughout. Chassis at this end of the market often struggle to match their pricier siblings in terms of aesthetics, yet the MB511 makes a reasonable fist of things. The all-black interior is sleek, the position of the I/O ports and power button is tidy, and the full-size transparent side window lends the whole case a modern look. 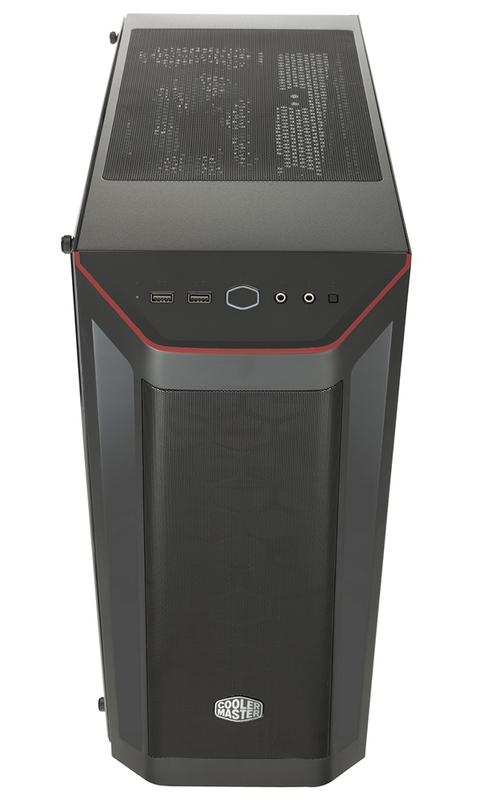 There aren't any RGB lights, though models with red (pictured above, right), blue or white front highlights will be available in certain regions, and about the only point of contention is the way in which the front panel juts out of the case. It's unnecessarily aggressive and, in our estimation, detracts from an otherwise elegant exterior. 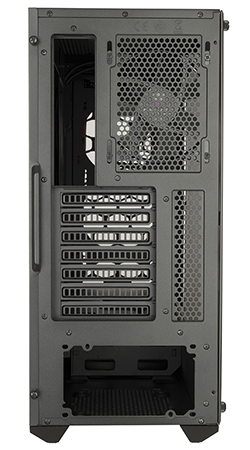 On the plus side, any of you who bemoan solid front panels will be delighted to find that Cooler Master has implemented a tall mesh section that extends almost the full height of the front panel, and that is aided by mesh vents that run up the sides. Airflow should be plentiful, but at this price point there are of course some concessions to be made. The I/O panel, for example, doesn't have anything fancy such as USB Type-C, and reverts to the familiar layout of two USB 3.0 ports, a backlit power switch, two audio jacks and a small reset button. As you might expect for £55, the transparent side panel is flexible acrylic rather than solid glass, yet while it lacks a truly high-end feel, it does a decent job in practise, with bevelled edges and a light tint finishing it off nicely. On the inside the cost-cutting measures are entirely predictable. The cable-routing holes aren't lined with rubber grommets, the expansion slot brackets are secured using regular screws rather than thumb screws, all the supplied fixings are lumped together in one bag, and none of the panels are lined with sound-deadening materials. No real surprises there, and there's only a single fan included - a three-pin 120mm rear exhaust - yet if you're planning on high-end liquid cooling, there's room to manoeuvre. The top of the case is home to dual 120 or 140 mounts, while the front section can house two 140s or three 120s. That means room for up to a 240mm radiator in the roof, as well as up to a 360mm radiator up front. Such flexibility does come at the expense of the overall aesthetic - we reckon the PSU shroud looks awkward having been cut short to make way for the longest front radiator - but you shouldn't run into any major compatibility issues, and if you prefer an air cooler, heatsinks can measure up to 165mm tall. Our AMD Ryzen 7 1800X test platform slots in with no fuss whatsoever. Cable holes are available above and to the side of the motherboard tray, as well as in the top of the PSU shroud, making it easy to pass wires to all onboard ports, and there's a 19mm gap between tray and rear side panel. 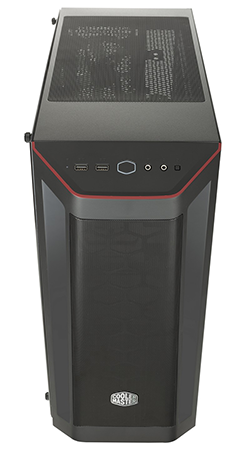 It's enjoyable to find that a modern high-end PC can be put together so quickly - this is an eight-core rig with 16GB of DDR4 memory, dedicated Radeon RX 580 graphics plus an M.2 SSD, and the entire build from start to finish took less than 30 minutes. 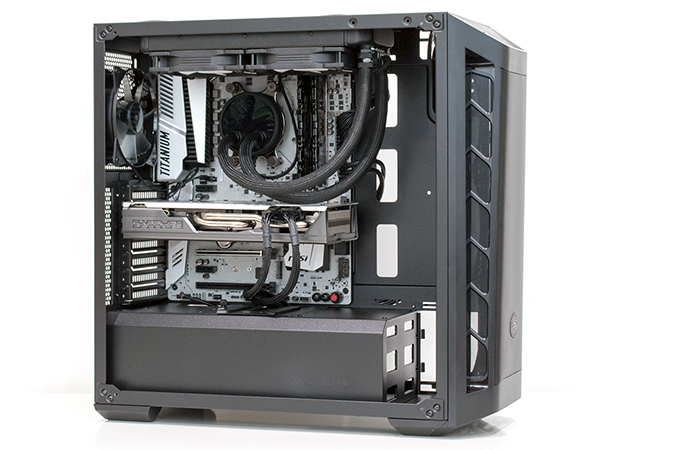 One advantage of an affordable chassis such as this is that excess cable clutter tends not to be an issue. 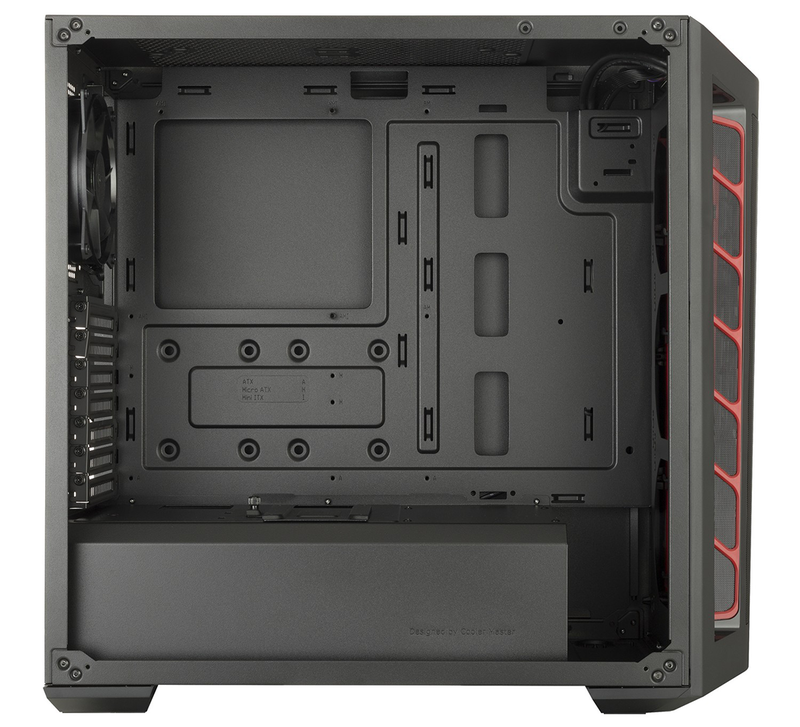 There are no wires for RGB lights or fan hubs, making cable management a cinch, and if you need more storage than a motherboard's onboard M.2 slot(s), you'll find an SSD tray on top of the PSU shroud, a further two SSD mounts on the back the of the motherboard tray, as well as a pair of plastic hard-disk trays in a cage at the end of the PSU bay. Do be aware that the SSD mounts at the rear don't have removable trays, so you'll need to fasten drives using the provided screws prior to installing the motherboard. It's a case of zip-ties rather than Velcro straps, though tie-down points are readily available, and instead of pull-out dust filters you have a magnetic mesh cover lining the top fan mounts and a thin sheet of mesh beneath the power supply, which itself sits on rubberised feet. There's no filter behind the front panel - you'll need to remove the whole lot for cleaning - and another potential snag is that the upper mesh filter is designed to sit flush with the top of the case; that's fine in theory, but installing a radiator in the roof can lead to small-but-visible bumps due to the protruding screws. All things considered, we're quite happy with the look of our finished build. 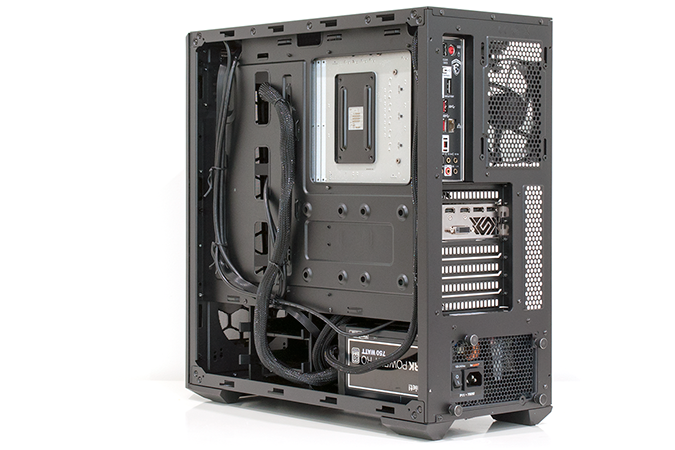 Having tested some premium and highly-complex cases in recent times, the MasterBox MB511 is refreshingly simple, easy to work with, and able to accommodate our gear with no major snags. Let's now see if performance is up to scratch.